Join Us At IMEX! - We hope to see you at IMEX, October 16 – 18! 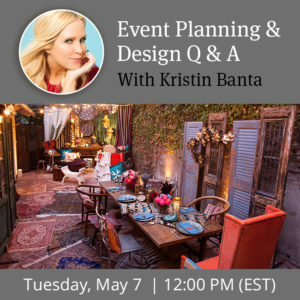 Home > Blog > Join Us At IMEX! 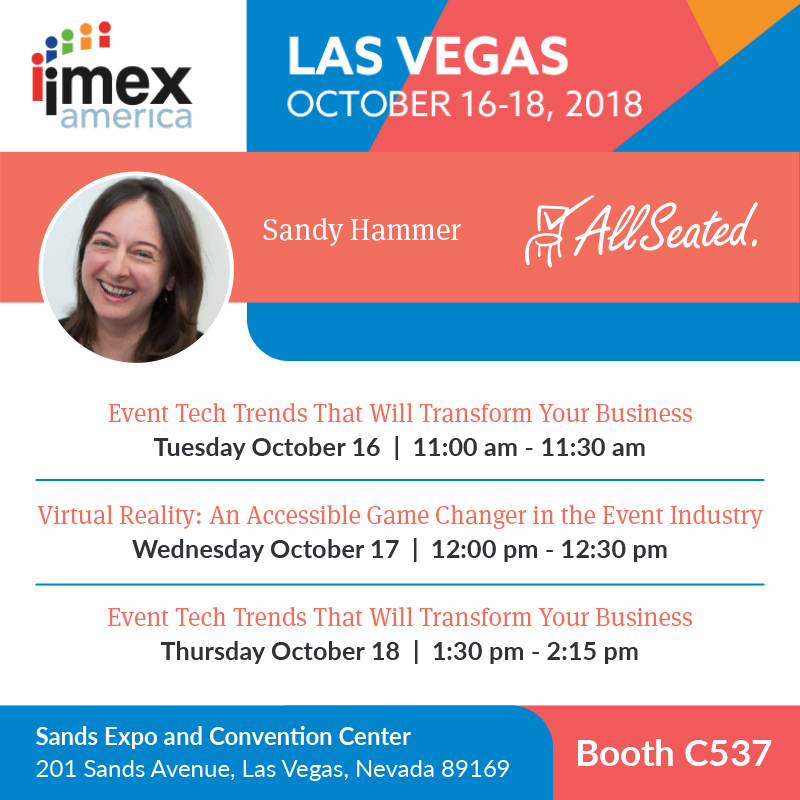 We hope to see you at IMEX in Las Vegas, October 16 – 18! IMEX is considered more than just a trade show as it offers brilliant speakers, fresh ideas and continuous inspiration with over 180 educational and networking events over the conference. 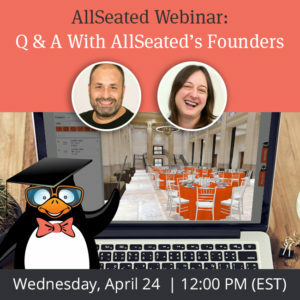 Join Sandy Hammer, co-founder & CEO of AllSeated for her lively education sessions! 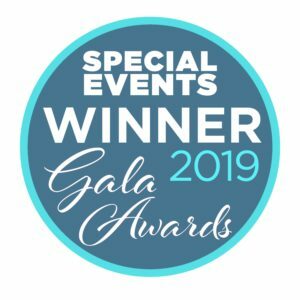 She will be speaking on the topics of Event Tech Trends That Will Transform Your Business and Virtual Reality: An Accessible Game Changer in the Event Industry. Looking forward to seeing you there. Don’t forget to visit us at booth C537!